During our recent trip to Computex in Tiapei we were able to talk to ADATA and get a look at their USB 3.0 Storage line. With USB 3.0 being a large increase in speed and performance over USB 2.0 it’s a no brainer upgrade. 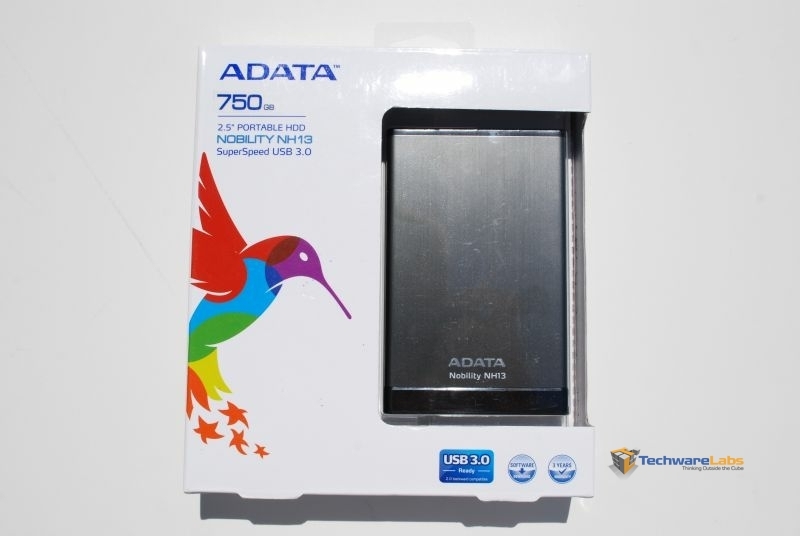 Today we will be taking a look at a 750GB external HDD from the the Nobility NH13 line. Our gauge for looking at this product will be Performance and Build Quality. Before we get into that though, lets take a look at the specs.